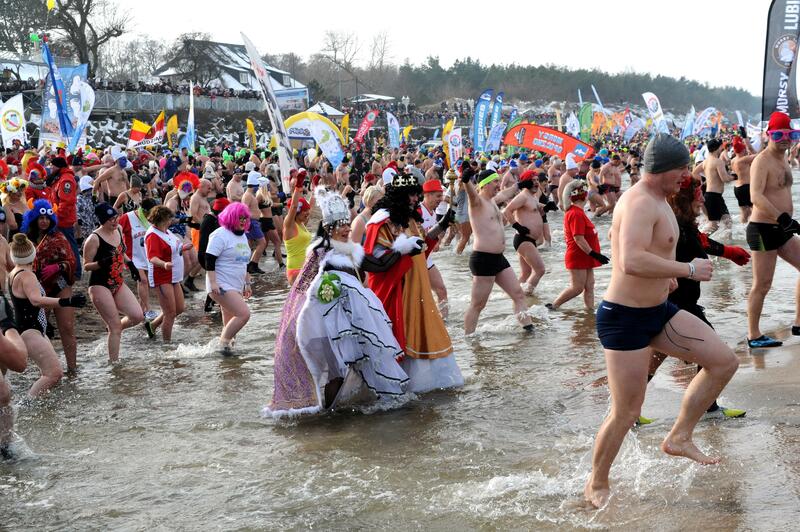 On a frosty February in Poland, most people’s idea of fun might revolve around an open fire or other warm pursuit. 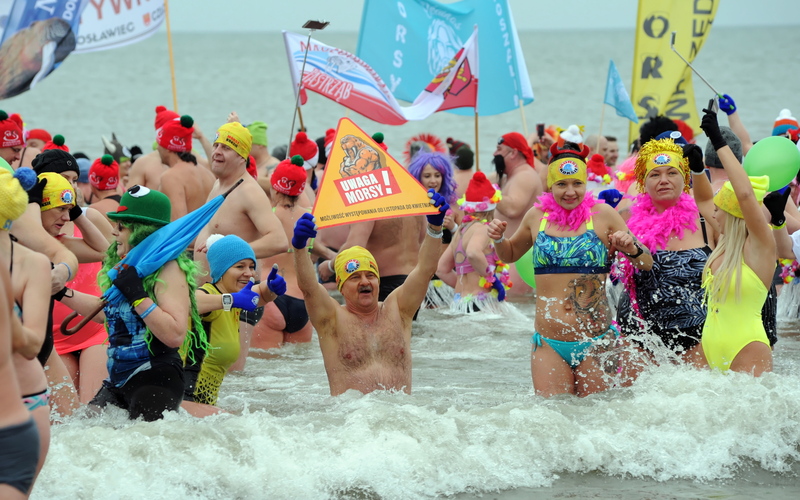 Not so for Poland’s ‘walruses,’ who turned up in their thousands over the weekend for a bracing dip in the Baltic Sea. 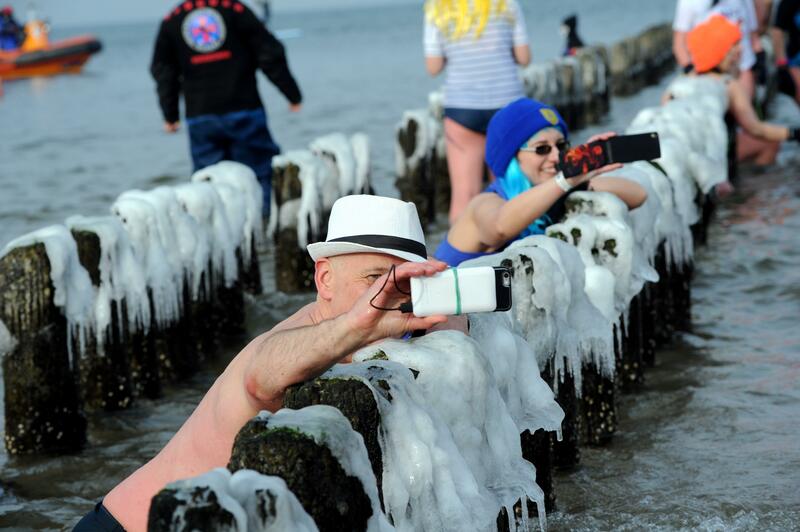 The coastal town of Mielno paid host to 4,904 cold-water lovers as they started arriving on Thursday for a weekend of chilly aquatic fun, although most turned out from Friday onward. On the agenda was a weekend of ‘walrusing’ with added attractions laid on. Friday saw an inter-club championship of walruses from around the country competing in races on the beach and integration games with the Extazy team and the Hrabi cabaret. Saturday saw more fun without sun with a variety of team tests. The team collecting the most coins was declared the winner. On a more serious note, the participants took part in a dance against sexual violence against women and girls, and vocalist Kasia Stankiewicz lead a Zumba training session. The day was crowned with an integration party for several thousand people. 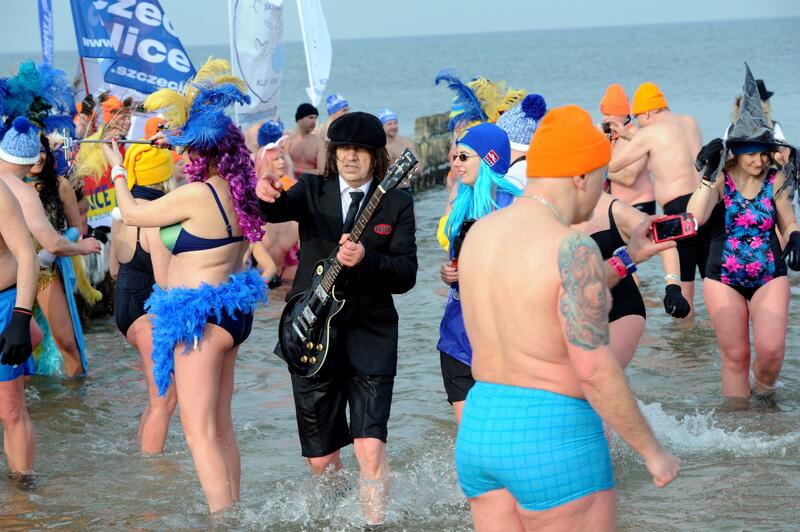 The main event, however, was Sunday when at 11am Poland’s walrus clubs united in a fancy-dress Walrus Parade through the streets of Mielno with a mass walrusing in the Baltic at noon.